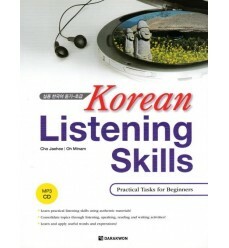 ‘Korean Listening Skills’ is designed for intermediate level of Korean learners to enhance their listening ability. 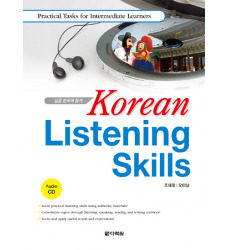 This book consists various listening tasks using authentic materials on practical topics. - The learners can consolidate each topic through speaking exercises in the 'Preparation' sections and reading and writing in the 'Activity' sections. 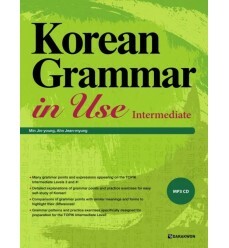 - The learners can learn a variety of vocabularies and expressions used in authentic materials in Korea. 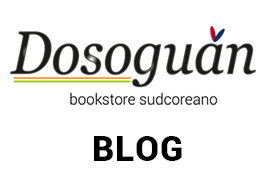 - The intermediate level students with basic language skills can apply these to real-life situations through task-based learning. 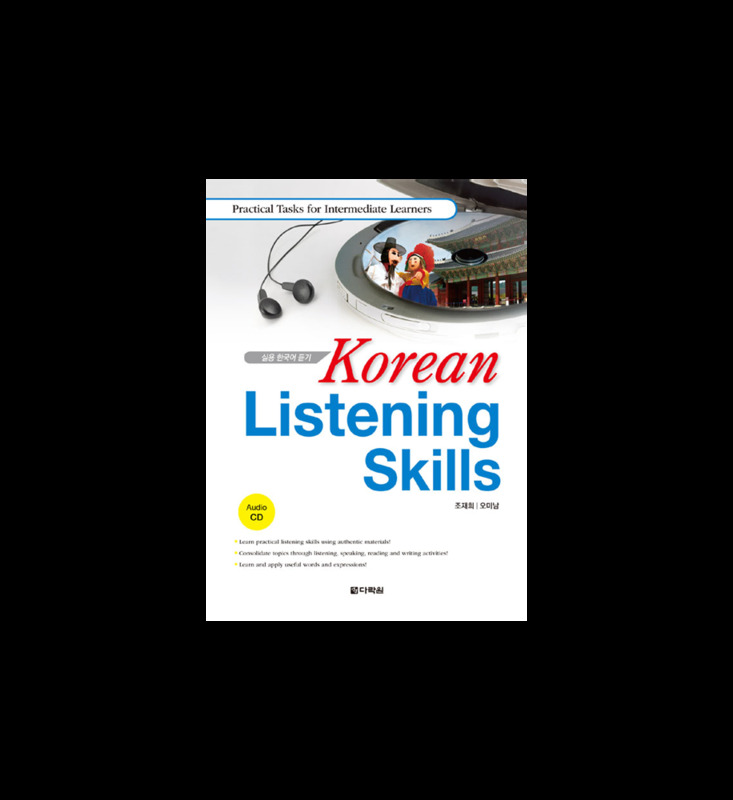 - The learners can prepare for the listening section of the authorized Korean language tests for foreigners, such as TOPIK. Unit 1. 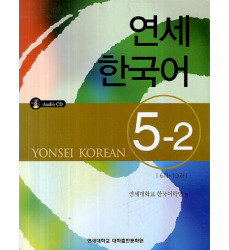 안내 말씀 드리겠습니다. Unit 2. 휴가를 어디로 갈까요? Where shall we go on holiday? Unit 3. 운동을 시작할까 해서요. I decided to start exercising. Unit 4. 공연 보러 갈래요? Shall we go and see a performance? Unit 5. 시내관광을 해 볼까요? Shall we do some city sightseeing? Unit 6. 차 좀 빌리려고 하는데요. I'd like to hire a car. Unit 7. 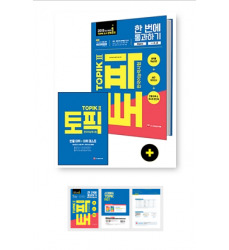 표가 다 팔렸다고 써 있잖아요. It says all the tickets are sold out, doesn't it? 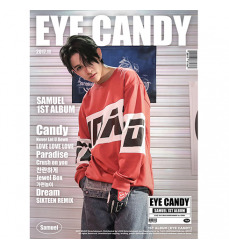 Unit 8. 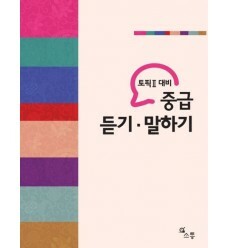 지하철에 카메라를 두고 내렸어요. I left my camera on the Underground. Unit 9. 집에 손볼 곳이 많아요. There are many places to repair in the house. Unit 10. 소파는 어디에 놓을까요? Where shall I put the sofa? Unit 11. 통장을 만들고 싶은데요. Unit 13. 친절하고 유머 감각이 있어. He is kind and also has a sense of humour. Unit 14. 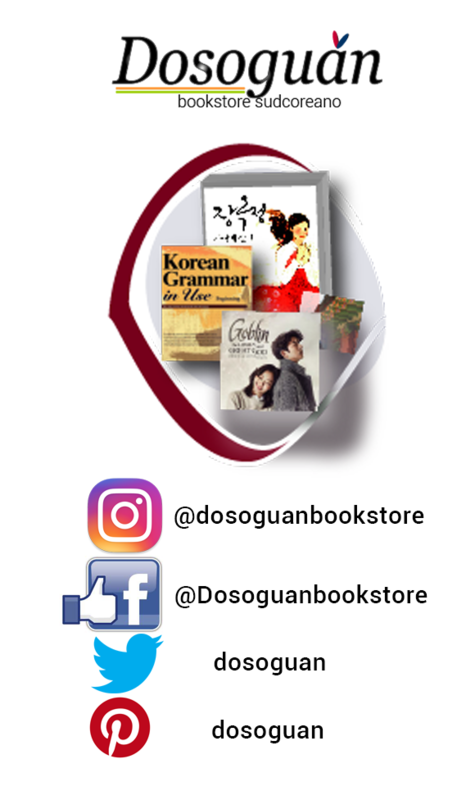 면접 보러 왔는데요. I have come for an interview. Unit 15. 쌈밥을 만들어 보겠습니다. I'm going to try making ssambap. (leaves stuffed with rice). Unit 16. 목과 어깨를 풀어 볼까요? Shall we loosen our neck and shoulders? Unit 17. 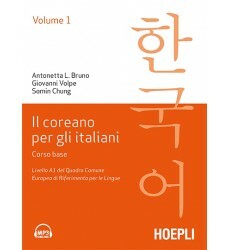 소화가 안 돼서 왔어요. I have come because I suffer from indigestion. Unit 18. 문상 가 본 적이 있어요? Have you ever paid a visit of condolence? Unit 19. 음주 문화에 대해서 토론해 보겠습니다. We shall discuss the drinking culture. Unit 20. 뉴스를 들어 봅시다. Let's listen to the news.